A complete balanced wettable starter meal for calves with probioticum and anti-oxidant as supportive food supplement, responsible for the stabilising of the digestive micro-organisms, acting as digestive aid, as well as vitamin sparing. 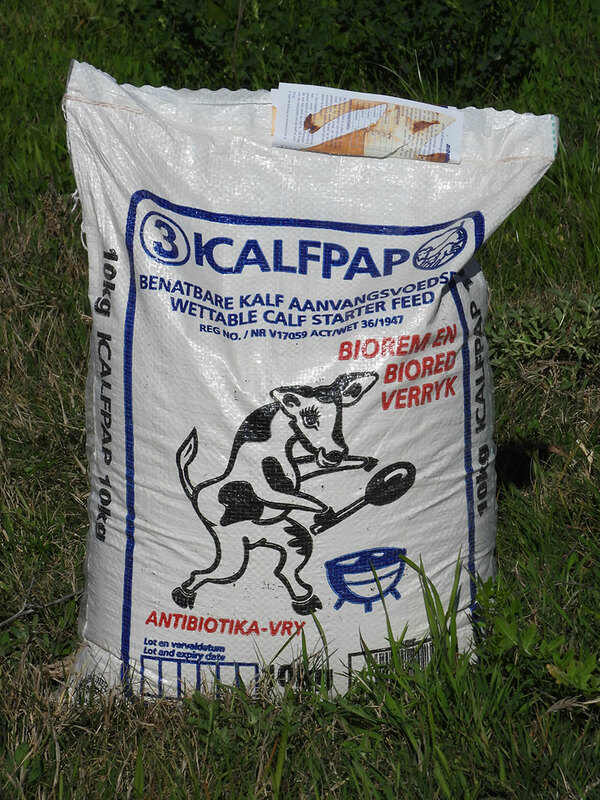 BIOREM CALF PAP-3 is part of a total feeding program for the calf to ensure weaning as early as possible, while the feeding of milk is been minimized to reduce cost. The calf is to be fed BIOMEL-COLOSTRUM-1 immediately after arrival for 1 to 2 days, depending on the strength of the calf. This helps to stabilizes the calves digestive system. Feed the calf BIOMEL-2 for at least 5 to 6 days as prescribed. If diarrhoea occurs during this period, reduce volume of milk by half, but still at the same concentration. 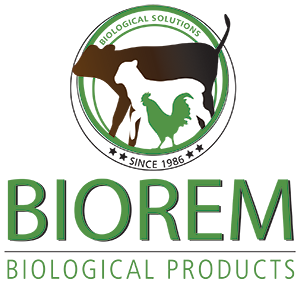 Treat with BIOREM at least one hour before or after feeding, dry on the tongue, as prescribed. Use antibiotics only in utmost cases, or when prescribed by a vet. It delays the developement of the G.I. tract of the calf. From the second week, mix BIOREM CALF PAP-3 gradually in the milk. 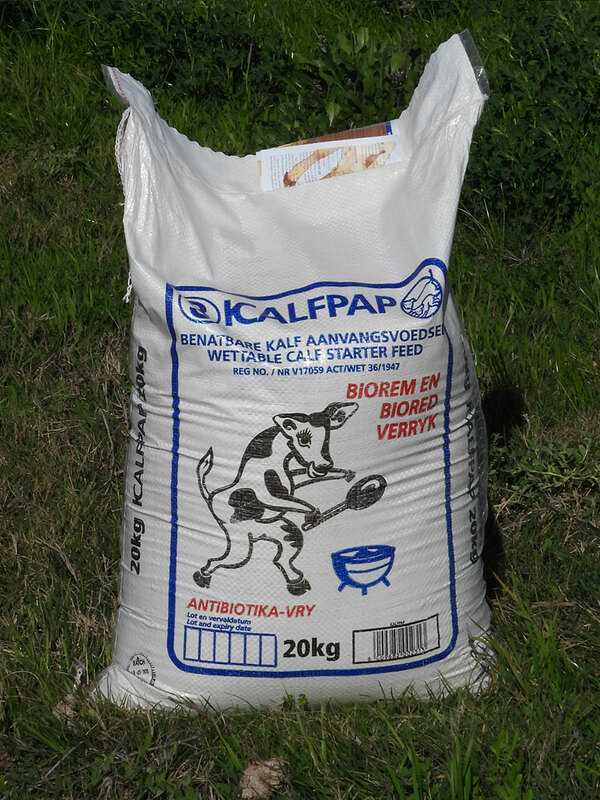 BIOREM CALF PAP-3 has been pre-cooked, and is ready to be mixed with lukewarm milk or water. The amount of BIOREM CALF PAP-3 is increased steadily in the milk in such a way that the calf will be able to take only PAP mixed with water at the end of the second week. The calf should be able to take only BIOREM CALF PAP-3 as a wet feeding from week 3 together with free access to calf growth meal and good quality roughage or pasture. WEANING can take place as soon as the calf’s intake of growth meal and roughage is sufficient (over 1kg per day) for growth.